Boat And Marine General Chandelry, Yacht and Boat Grab Handles, Mooring Bollards, Bow Rollers, Boat Deck Cleats and Fairleads. 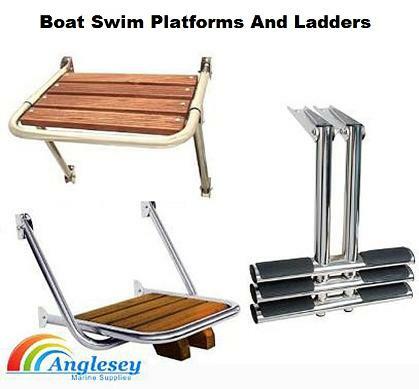 Also supplying Boat Ladders and Swim Platforms. 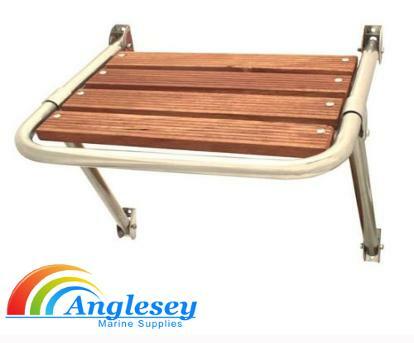 Also supplying folding boat steps in brass or chrome finish. Also in stock we have Polished Brass and Traditional Deck Brassware. Portholes, Signs Etc. 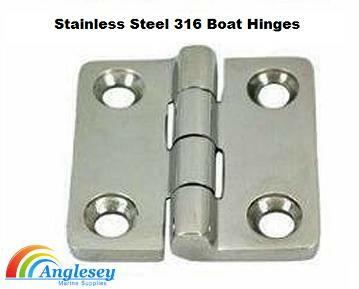 New for 2012 a full range of 316 marine grade stainless steel hinges, hasps and staples and also our wide range of boat access hatches-round or square. 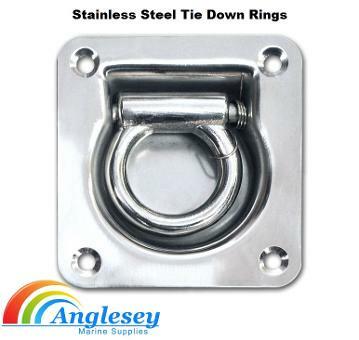 New for 2012 supplying anchor chocks, drop nosed stern head rollers, stainless hinges and hasp and staples.New for 2012 a range of boat air vents, solar powered boat deck ventilators, polished stainless boat deck vents. Also now stocking boat flagpoles and boat hooks. 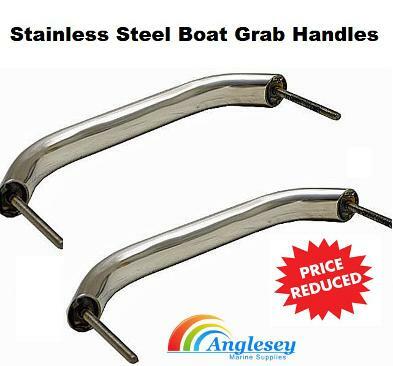 316 Marine Grade Stainless Steel boat grab handles ideal for boat, yacht, caravan or motorhome supplied with fixed in bolts. The thread size of the boat grab handles is 8mm. The depth of the boat grab handles are 40mm. 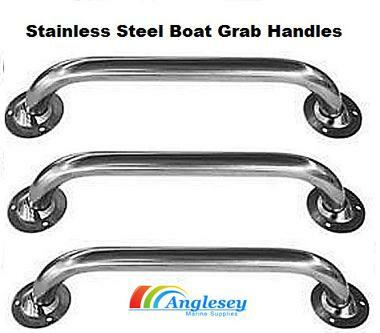 The boat grab handles have an highly polished stainless steel finish. Small- Base size is 120mm (4 3/4") long x 95mm (3 3/4") wide. Height is 120mm (4 3/4"). Large- Base size is 6" long x 4 3/4" wide and Height is 6"
Small aluminium boat bow roller. 158mm, anodized aluminium. 158mm long x 7Omm wide. The aluminium boat bow roller has 3 pre-drilled holes in base. 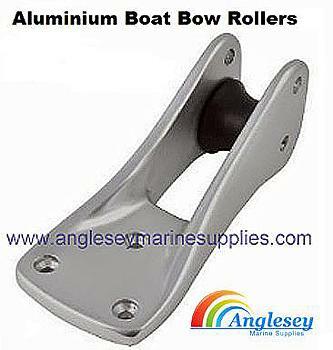 Quality aluminium boat bow roller. 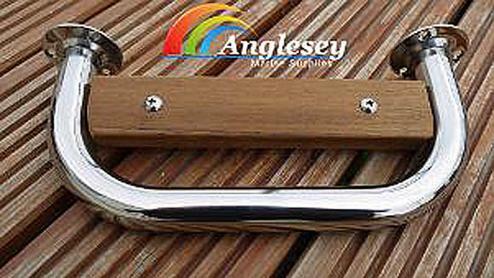 Economy 316 stainless steel small boat bow roller fitted with a nylon roller. 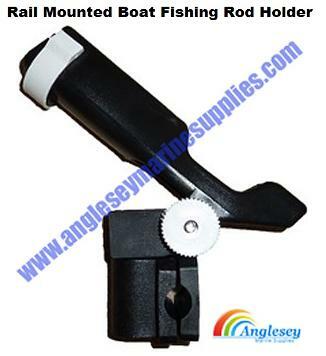 The boat bow roller is 165mm long x 70mm in width. 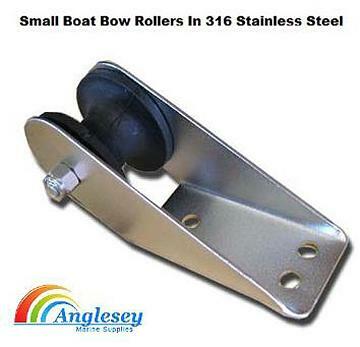 A cost effective stainless steel small bow roller for boats. 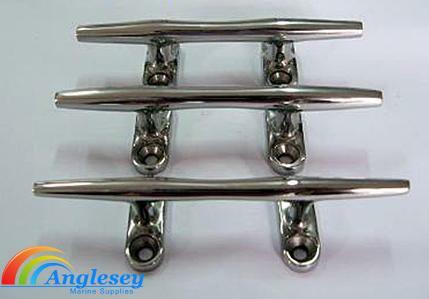 Large drop nosed aluminium boat bow roller anchor roller. 335mm long. Designed for inclined bows. boat Fishing Boats, Yachts etc. 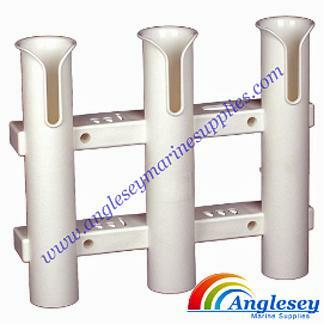 Quality Anodized aluminium boat bow roller, anchor roller. 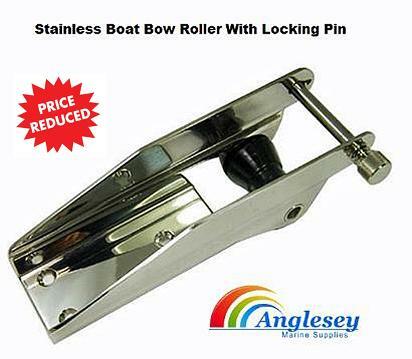 Marine grade 316 stainless steel boat bow roller with locking pin 9” long x 2.5” wide. Is pre=drilled with 3 fixing holes and is supplied with s/s drop nose pin as standard. The bow roller as a highly polished stainless steel finish. 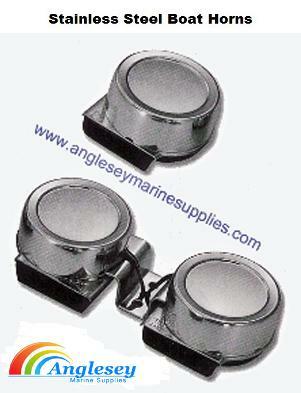 Medium sized, marine grade stainless steel boat bow roller with lock, with nylon roller and locking device. 320mm long (12.5’’). 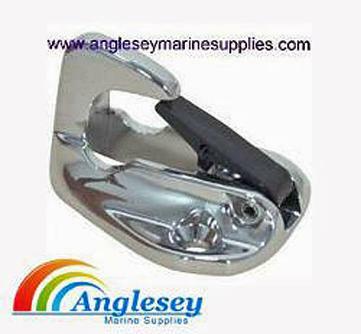 Anglesey Marine Supplies offers four different sizes of our 316 marine grade stainless steel boat deck cleats. Four hole fixing boat deck cleats in sizes 4", 5", 6" and 8" long. 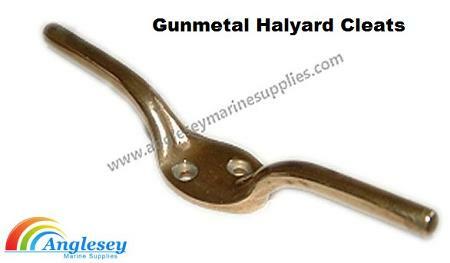 Brass boat deck halyard cleats available in two different sizes. 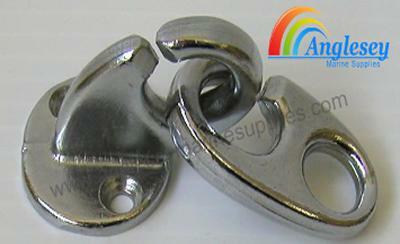 Can be used as a boat deck cleat, flagstaff or in boat cabins for curtain tie backs etc. 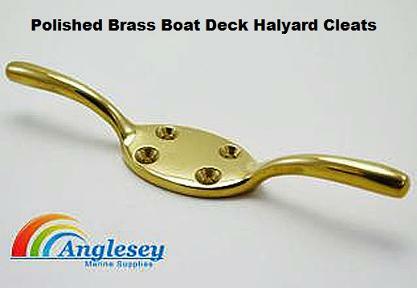 A quality brass boat deck halyard cleat. 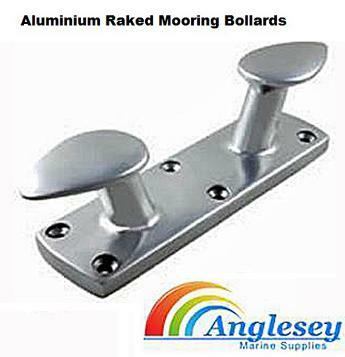 Aluminium racked mooring bollard from Anglesey Marine Supplies. Available in two sizes 6" and 8" long. 6 hole fixings. 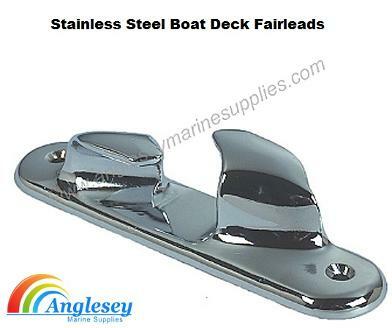 Stainless steel boat deck fairleads from Anglesey Marine Supplies. Two hole fixing fairleads manufactured from 316 marine grade stainless steel in two different sizes. 115mm(4.5") long and 140mm(5.5") long. Prices from only £15.99 £13.99 plus postage. Anodised aluminium deck fairleads, two hole fixings available in two sizes, 115mm(4.5") long and 130mm(5") long. Prices per pair. 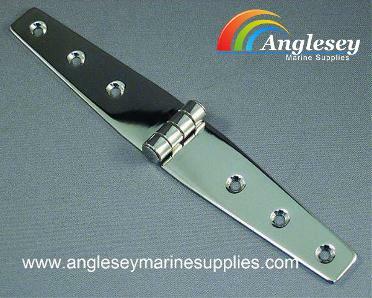 Cast aluminium boat anchor chock suitable for bruce and bruce style anchors up to 15kg. Made from anodised aluminium. Size: 350mm x 140mm x 120mm. Stainless steel tie down rings. 65mm. x 55mm rectangular. 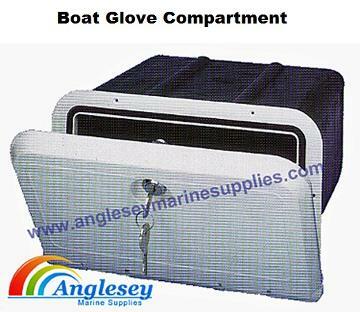 Perfect for holding secure items on boat deck. Also useful for use in caravans, motorhomes and horseboxes and trailers. Cost effective boat fender hooks. Chrome plated fender hooks for maximum protection. 3 step folding boat ladders standard width, length of 65cm open and 33cm closed. Width of the boat ladder is 25cm. Four fixing points. Manufactured from marine grade 316 stainless steel. 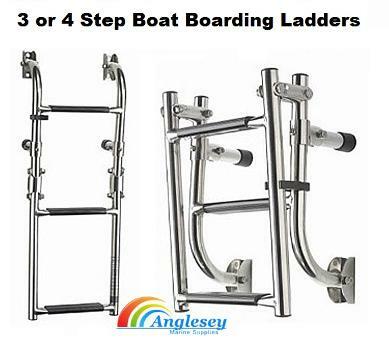 A quality 3 step folding boat ladders. 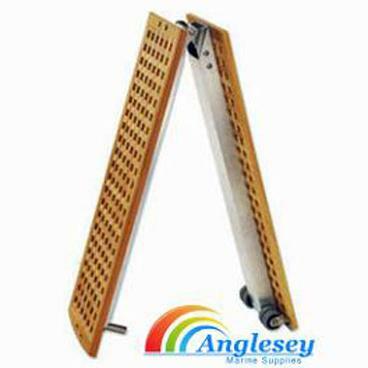 Boat ladders 4 step folding, length of 88cm open and 44cm closed. Width of the boat ladder is 25cm. Four fixing points. Manufactured from marine grade 316 stainless steel. 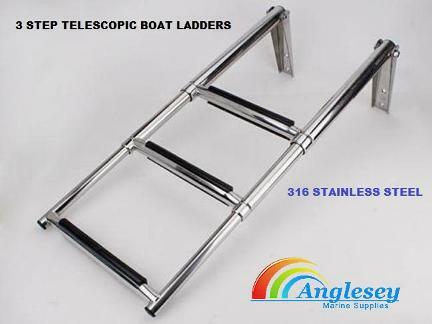 Telescopic Boat ladders manufactured from marine grade 316 stainless steel. Ladder is telescopic, platform mounted. Designed to fit above or below the platform. The 3 step ladder telescopes away when not in use. Ideal for boats, horseboxes, motorhomes etc. 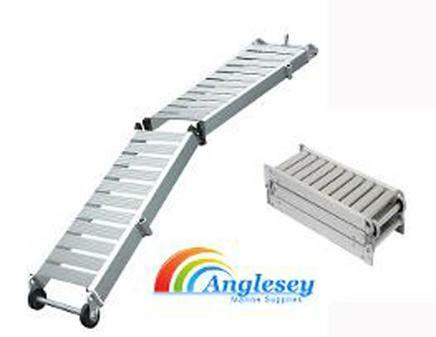 Anti-sliding folding aluminium boat boarding platform gangway, boat boarding platform manufactured from extruded anodised aluminium with anti sliding plastic grating for maintenance free use. Provided with wheels, pivot pin and flush mounted aluminium base for gangway anchor point. Available in two different lengths. Ideal for boats, canal & narrowboats etc. Anti-slip wooden folding boat boarding platform. Manufactured from marine grade timber. 310cm long and 37cm wide. Weights 21kg. Our wooden folding boat gangway platform ensures safe and easy boarding of boats. Ideal for Yachts, Fishing Boats, Pleasure Cruisers, Day Boats, Canal and Narowboats. Removable boat ladder brackets unique design that allows the normally fixed boat ladders to be detachable to enable storing away when not in use. Simply to fix and effective in use. Transom mounted Boat swim platform bathing platform, easy to install to most transoms. Allows various mounting methods above or below platform. 45cm long x 38cm wide. Stern fitting boat swim platform bathing platform made from 22mm 316 marine grade stainless steel tubing and Eroko hardwood. 40cm long x 22cm wide. Ideal for smaller boats with limited transom space. 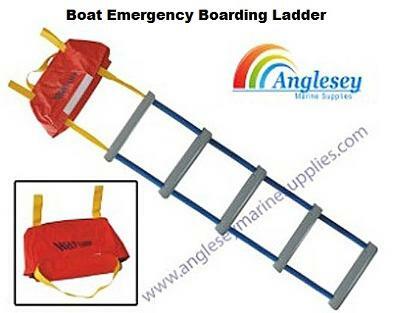 Emergency boat ladder, packs away neatly in holdall when not in use. An emergency boat ladder is a must for boat safety and piece of mind when on the water. 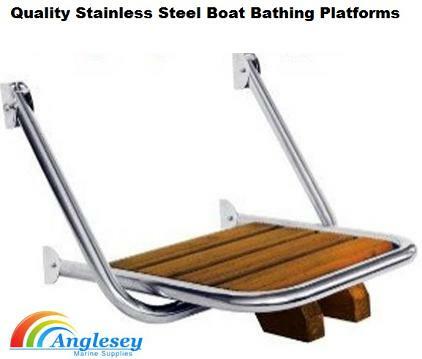 Tubular 316 marine grade stainless steel boat step with wooden inlay. Predrilled boat step manufactured using 25mm 316 stainless tubing. Two types are available (as shown). With or without wooden inlay. We have a wide selection of polished brass boat signs applicable for new British Waterways and River authority regulations. Predrilled with two holes. 80mm x 30mm in size. 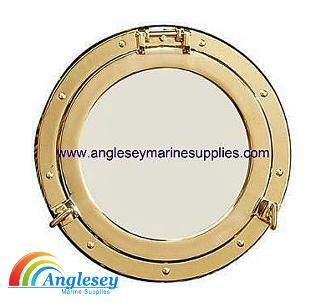 Anglesey Marine Supplies have three different sizes of polished brass porthole mirror available to give your cabin that touch of class. Available in sizes 290mm, 203mm and 145mm. Polished brass silent boat cabin hooks, Quality item, Available in 3 sizes, All with four hole fixing. Sizes available are 50mm long, 75mm long and 100mm long. Use drop bar on right for size choice. 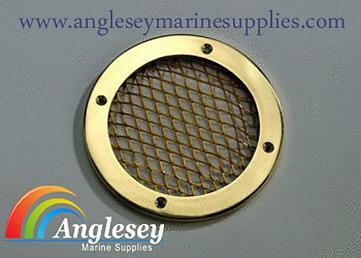 A matt gold lightweight aluminium round mesh boat brass grill vent. An excellent decorative feature for your boat cabin. Also available in a silver finish. 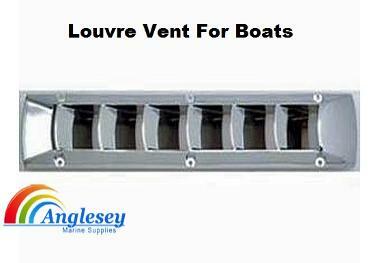 316 Marine grade louvre stainless steel boat vent. 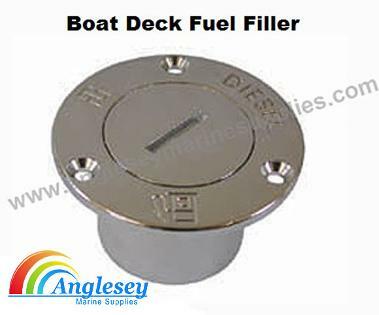 The stainless steel boat vent is 130mm in diameter, round flush fitting vent. Allowing ventilation into the boat. 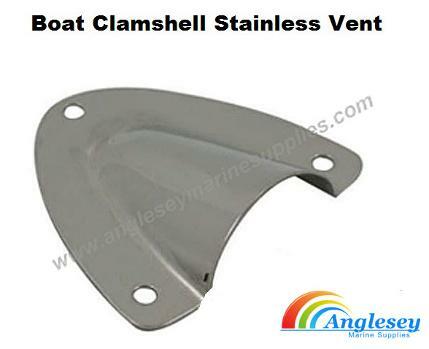 Stainless steel boat vents clamshell type, boat ventilators available in two different sizes, manufactured from 316 grade marine stainless steel. Sizes available are 45mm x 40mm and 55mm x 33mm. 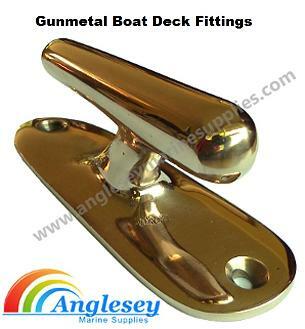 Folding boat step in either brass or chrome plated brass. 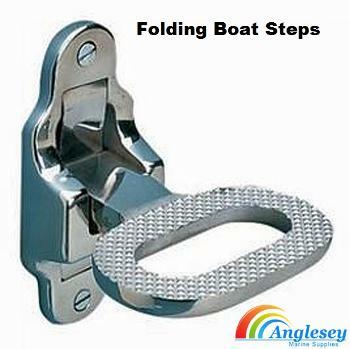 The folding boat step have a built in 316 grade stainless steel spring to enable the folding boat step to be folded flat. The folding boat step is ideal for boats, motorhomes and horseboxes and trailers. Please use drop bar on right for colour choice. 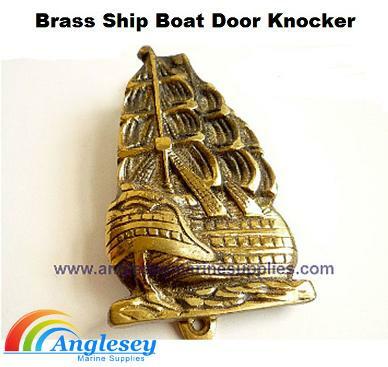 Ornate brass boat door knocker, perfect for boat and yacht cabin doors. A useful and yet decorative feature. New for the 2013 boating and yachting season. 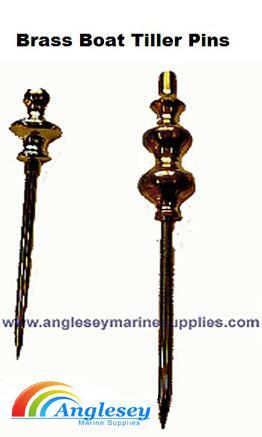 Two sizes of brass boat tiller pins available from Anglesey Marine Supplies. 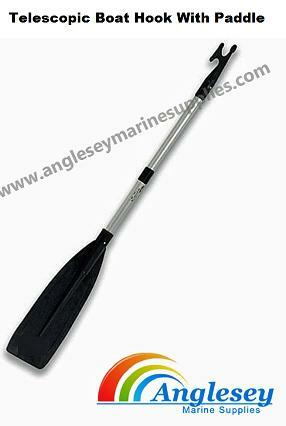 First the smaller boat tiller pins measures 160mm long and secondly the larger boat tiller pins measures 215mm long. A cost effective decorative feature. Brass boat deck water filler for “WATER”. To fit 1 1/2” tubing (38mm). Polished brass finish, predrilled for fixing to boat. 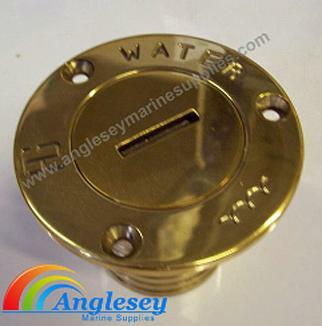 Brass boat deck fuel filler Cap for “DIESEL” To fit 1 1/2” tubing (38mm). Polished brass finish, predrilled for fixing to boat deck. 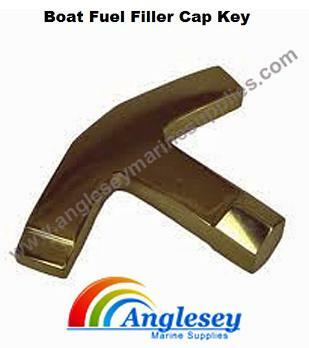 Traditional brass boat fuel filler cap key, will fit most of boat deck fuel cap fillers. This 5 sided key has ‘’T’’piece handle for easy removal of cap. 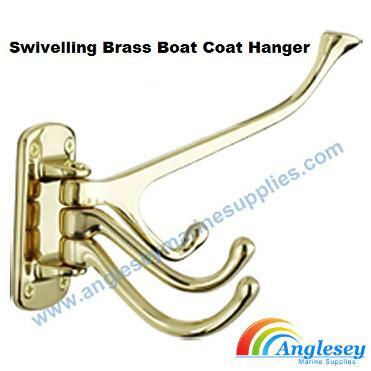 Swiveling brass boat coat hanger, Polished brass all in one swiveling brass boat coat hanger folding 4 hook coat hanger Swivels flat when not in use. All hooks swivel 180 degrees. 7Omn x 38mm. Predriilled ready for easy fitting. 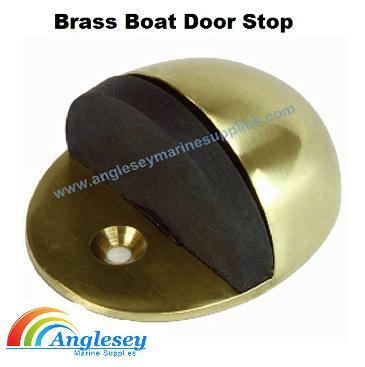 Solid polished brass boat cabin door stop with rubber insert. 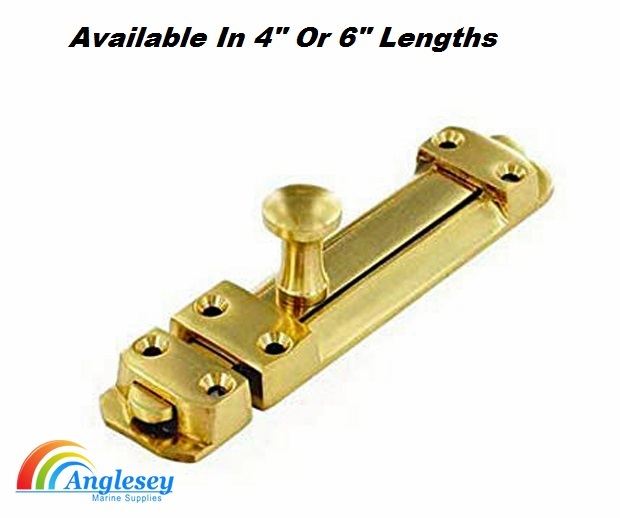 Provides an ideal item to match other brass fittings in traditional surroundings. Comes with fastening screws. Door stop dimensions are 45mm. wide x 25mm. deep. 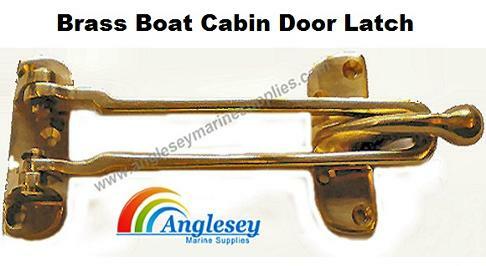 Solid brass boat cabin door latch 145mm long on safety arm and 60mm wide plates either end. New for this year we are supplying a range of gunmetal boat deck fittings and hardware in either bronzed or chrome plated gunmetal. Gunmetal is used for both its decorative and corrosion protective properties which make it an excellent material for marine products. Also the gunmetal products look excellent on the boats timberwork. Please look through our range of gunmetal boat fittings but if you do not find what you are after then please download our catalogue which is located on the left hand side of our homepage. Chrome gunmetal halyard cleat 50mm long. 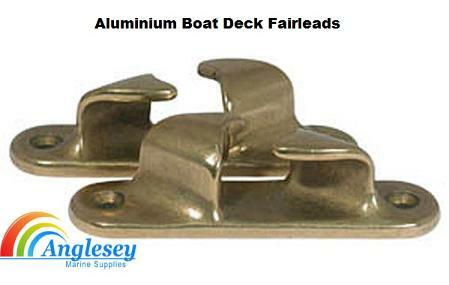 Quality boat deck gunmetal fittings for that traditional boat look. We have more halyard cleats for sale on this page. 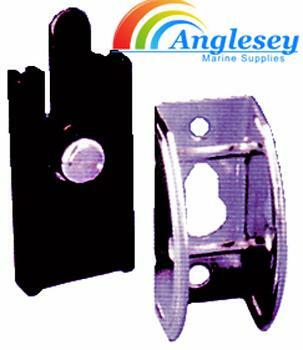 Quality marine grade stainless steel boat hinges. 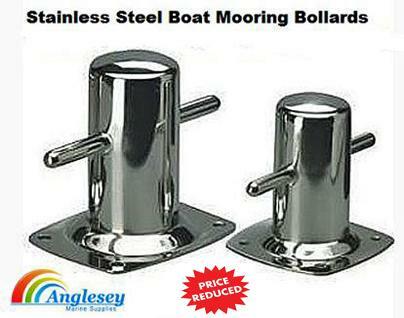 Square 316 stainless steel boat hinges ideal for use on deck, cabins, lockers etc. 40mm x 40mm. Sold in Pairs. 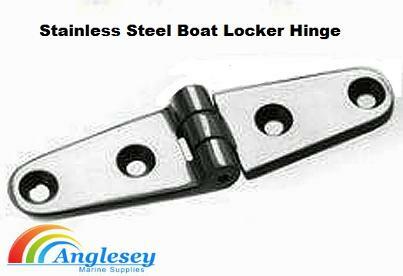 Quality marine grade stainless steel hinge for boats. 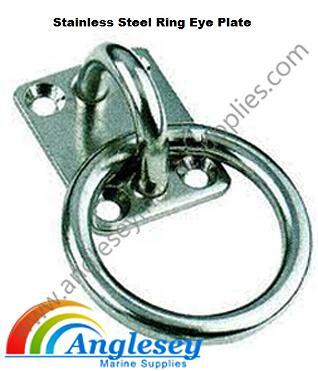 Square 316 stainless steel hinge ideal for use on deck, cabins, lockers etc. 35mm long side, 15mm short side, 35mm. Sold in Pairs. 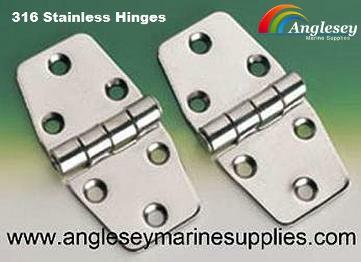 Quality marine grade 316 stainless steel boat hinges. Square 316 stainless hinge ideal for use on deck, cabins, lockers etc. 74mm x 37mm. Sold in Pairs. 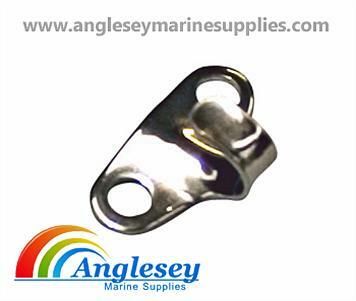 316 Marine grade small stainless steel boat locker hinge, ideal for use in boat cabins, boat lockers or on deck. 103mm long x 28mm wide. Sold in pairs. A quality boat locker hinge. 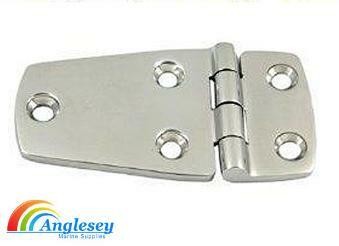 316 Marine grade large stainless steel boat hinge, ideal for use in boat cabins, boat lockers or on a boat deck. 103mm long x 28mm wide. Sold in pairs. 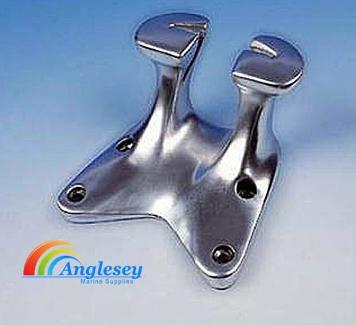 A quality stainless steel boat hinge. 316 marine grade stainless steel hasp and staple. 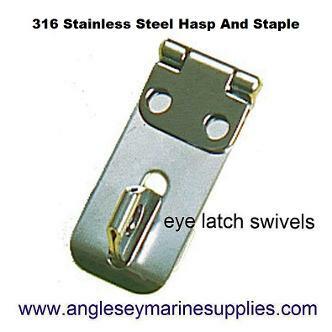 Staple eye swivels to act as a quick latch then lockable with a padlock (not supplied). 65mm long x 25mm wide. 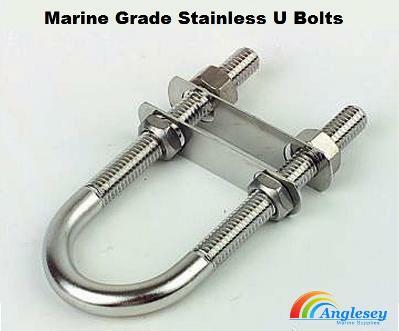 Quality marine grade corrosion resistant stainless steel hasp and staple. Introductory special price £6.99 plus postage. Oval ended boat cabin polished boat cabin bolt. Available in either chrome plated brass or polished brass. 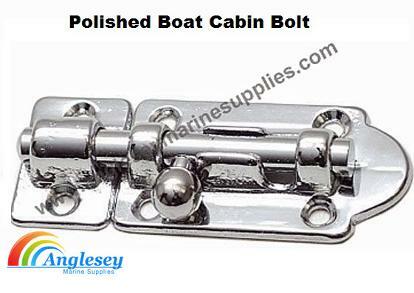 The boat cabin bolt dimensions are 75mm length, 32mm width, 7 fixing holes. Budget range of small round boat hatch in a variety of sizes. Colours available white and clear. All waterproof boat hatch come with screw tops allowing easy removal. Please use drop bar menu for choice. 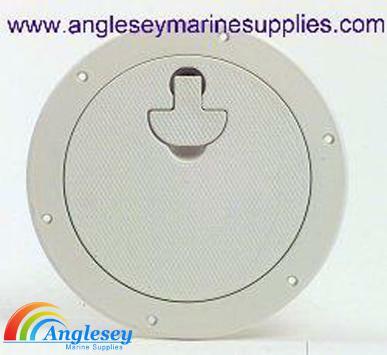 10" O.D (265MM) round boat hatch cover in white. Has a pull and twist access door. Can be fitted with a lock. Diameter of opening is 7.5" (19cm). Ideal for project boatbuilding or adding new boat access panels. 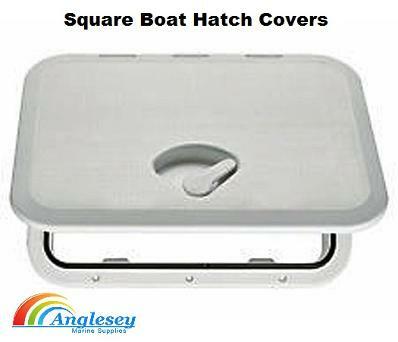 Waterproof Nuova Rade plastic square boat hatch cover with pull and twist access door. Quality injection moulded boat hatches from Nuova Rade. Available in a wide range of sizes from 11" x 7" up to 19.5" x 10". Please use drop bar menu for choice. 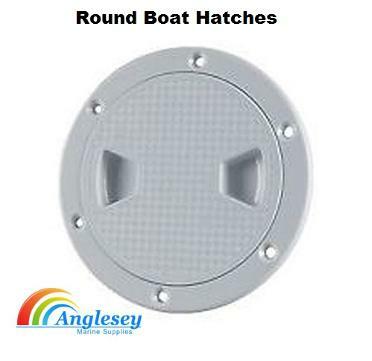 Cheap in price yet still quality our budget range of economy boat hatches manufactured from uv resistant strong plastic available in three different sizes. 11" x 7", 15" x 15" and 19.5" x 10". Please use drop bar menu for size choice. 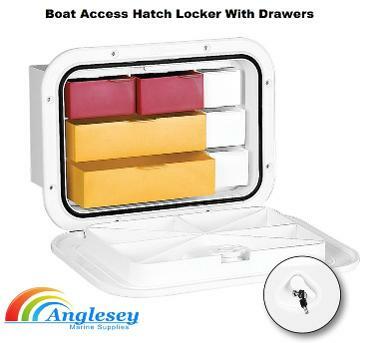 12”x 8” (3OOmm x 2OOmm) rectangular access boat access hatch locker with drawers. Can be used as a tackle compartment and is supplied with 4 sliding draws allowing anglers to have dry built in tackle storage. Detmar boat glove compartment hatch, moulded from rugged plastic. The boat glove compartment hatch lid is hinged with marine grade stainless steel pins and contains a marine push-button lock and 2 keys. 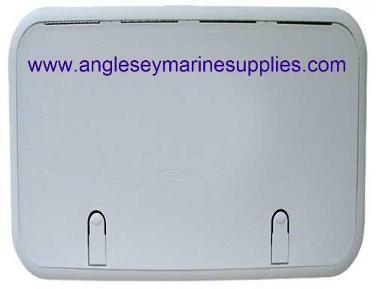 UV stabilised ABS plastic boat vent, 6 louvres, 45cm long x 9cm wide in white. 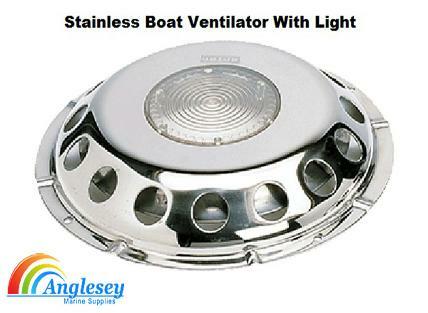 Polished marine grade stainless steel boat air vent deck cabin ventilator. Has a light emitting perspex centre. This boat air vent design is low profile, rain and splash proof and gives permanent ventilation.The stainless steel boat air vent is Ideal for preventing mould and mildew growth in boat cabins. Introductory offer price only £32.99 plus postage. Solar powered boat ventilator with built in watertight motor, keeps the boat smelling fresh and ventilated. Manufactured from ABS plastic and polycarbonate. Ideal for mounting on side or roof of boat cabins. 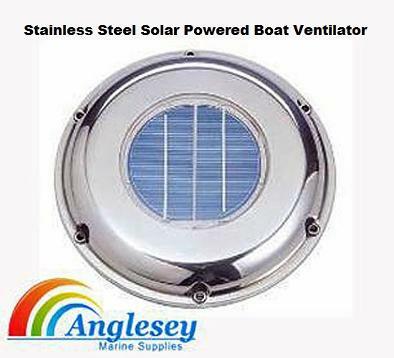 Marine grade 316 stainless steel solar powered boat ventilator air vent. 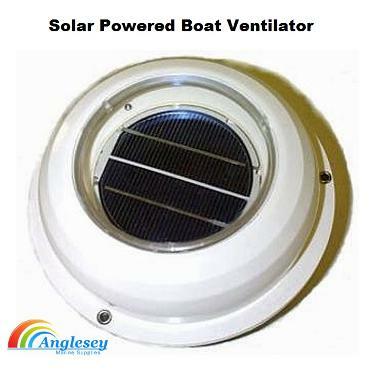 Two types of solar powered boat ventilator available, the first is the standard model that operates during day only, the second as a built in power store that is switch operated to enable night use. The stainless steel solar powered boat ventilator is ideal for keeping boat cabins aired, smelling fresh and free of mould and mildew. 22cm outside diameter. Please use drop bar menu for choice of boat ventilator, also ideal for caravans and motorhomes. 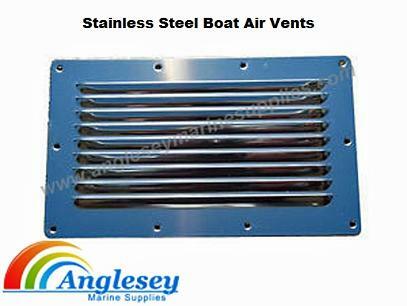 Rectangular stainless steel boat air vents available in 3 different sizes. 127mm x 65mm, 116mm x 128mm, 128mm x 232mm. 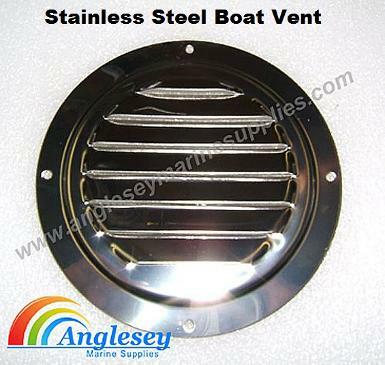 Please click the checkout button for size choice of stainless steel boat air vents. Ideal for boats, caravans and motor homes. A budget single boat fishing rod holder, tough plastic construction. Mounts into stern, gunnel etc. 3 hole fixing. Comes with cap. Available in either black or white. 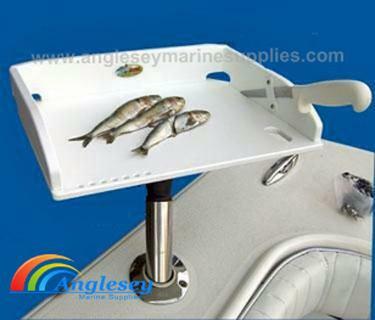 A deluxe yet cost effective rail mounted boat fishing rod holder, fits onto pulpit or safety rails. Comes complete, easy to fit. Special price only £19.99 plus postage. 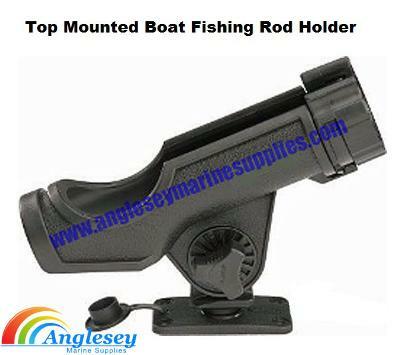 Deluxe boat fishing rod holder top mounted, cost effective top mounted boat fishing rod holder, screw fixing onto stern or gunnel. Features locking rings for spinning or casting rods. Fully adjustable. 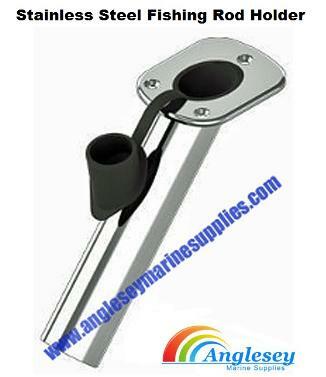 A quality 316 marine grade stainless steel boat fishing rod holder. 48mm diameter flush mounted. Predrilled to take 3 screws.Comes with a watertight cap. Quality 316 marine grade stainless steel rail mounted boat rod holder with 360 degree rotational movement and adjustment. Mounts onto boat rails. 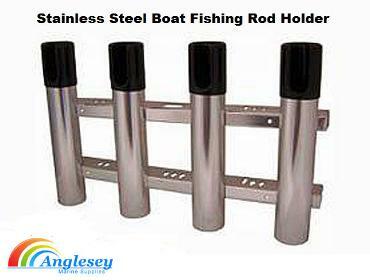 Stainless steel four rod fishing rod holder manufactured from 316 marine grade stainless steel. Holds four rods on a 710mm long double rack. 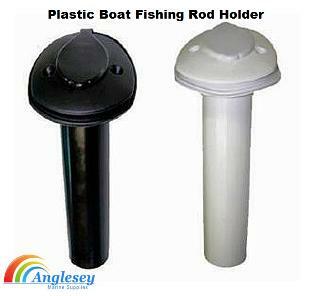 Plastic Boat fishing rod holder made from UV stabilized high density plastic. The plastic boat fishing rod holder also features a knife and pliers holder. Easy to assemble, fix and clean. Comes with 316 marine grade stainless steel screws. Available in either double rod, triple rod, or 4 rods capacity. Boat fishing bait cutting board, manufactured from quality strong and durable polyethylene. 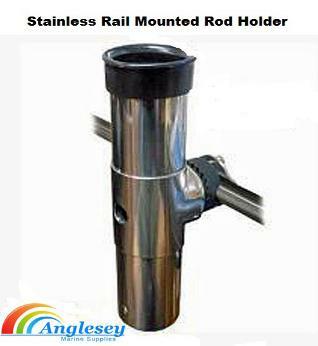 As a marine grade aluminium adjustable tube that fits any standard size rod holder. The boat fishing bait cutting board and gutting board will also tilt and swivel. Length 45.5cm, Width 37.5cm, Height 9cm. Wooden boat flag pole mast, complete with angled marine grade 316 stainless steel bracket holder comes with halyard fitted also. 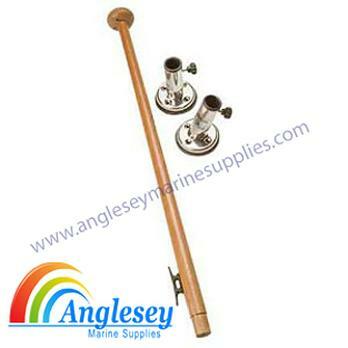 Three different sizes of wooden boat flag pole available 60cm, 90cm and 100cm. 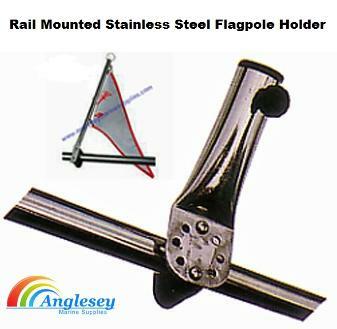 316 Stainless steel boat flag pole holder to fit 22mm.-25mm boat flag poles (see below). To fit pulpit or boat hand rail, easy to fit. 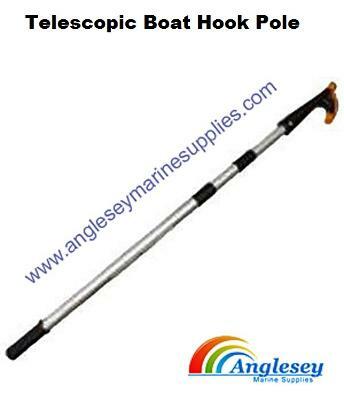 Telescopic boat hook pole, sturdy anodized aluminium construction. The telescopic bot hook pole is adjustable from 62cm up to 91cm. Telescopic boat hook pole with paddle. The telescopic boat hook pole is fitted with a boat hook on one end and a paddle the other end, unique design utilizing one product to do two jobs.The boat hook pole telescopes from 120cm in retracted position to 165cm in the extended position. Quality 316 marine grade stainless steel boat horns. Comes with all stainless steel screws and fixings. The stainless steel boat horns are available in either single or double boat horns. Please use drop menu for choice and prices. 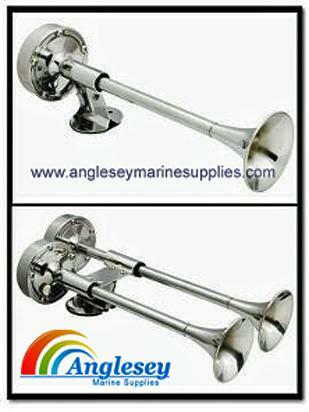 Compact low profile stainless steel boat horns, ideal for when lacking space on board. 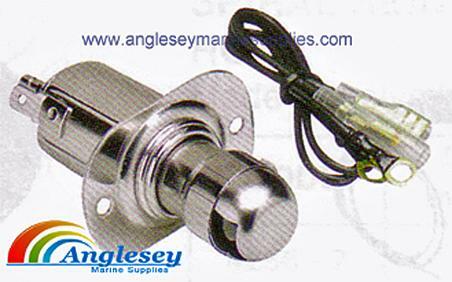 The boat horns are concealed with marine grade 316 stainless steel cover and plate. 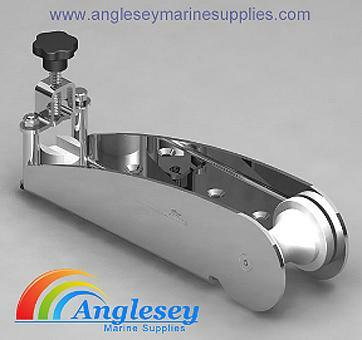 The stainless steel boat horns are available in either single boat horns or double boat horns. Conventional design boat engine exhaust blower, flange mounted. The boat engine exhaust blower mounts direct to boat exhaust opening. 3” ( 76mm ). 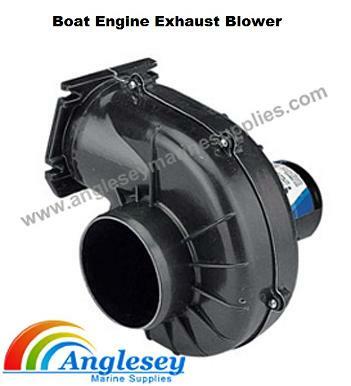 A low cost yet quality boat engine exhaust blower. 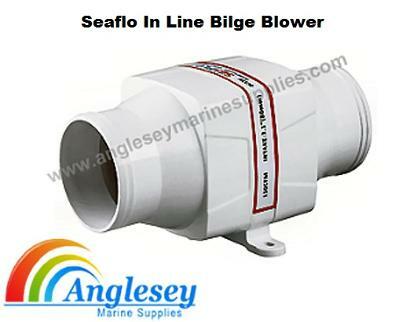 Boat Marine seaflo in line bilge blower, available in either 3" or 4". Please use drop bar menu for choice. 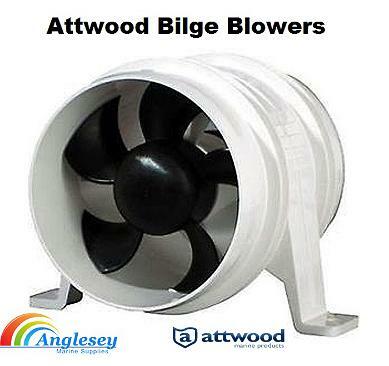 The in line Attwood bilge blower come in two sizes 3" or 4". Please use the drop bar menu for your choice of bilge blower. 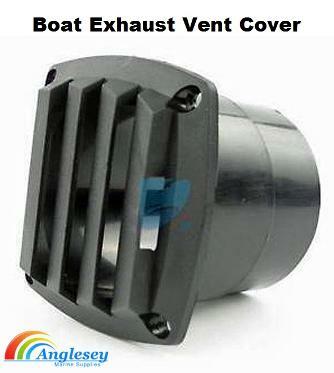 3" Single plastic boat engine exhaust vent cover & air intake vent for boats, for use as boat engine air intake vent or boat exhaust vent. 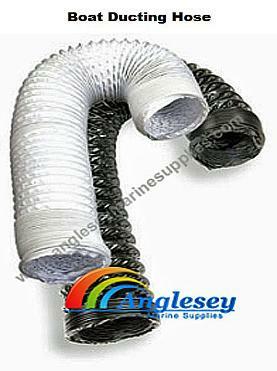 Wire reinforced, flame resistant marine boat vent ducting hose available in either 3" or 4" diameter. The boat vent ducting hose comes in lengths of 10 foot. Please use drop menu for choice of boat vent ducting hose size. Boat wind screen wiper motor. Waterproof, with chrome brass housing and s/s front plate. 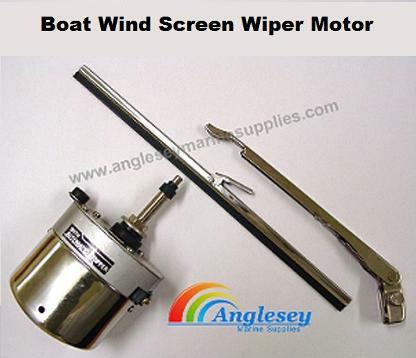 The boat wind screen wiper motor is supplied with arm and choice of either 11" or 14" blade. The boat wind screen wiper motor works at 110 degree angle and is self parking. 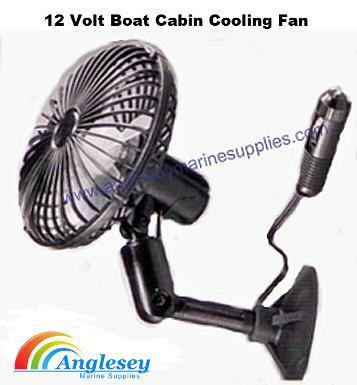 Boat cooling fan made of durable plastic with 5” ( 130mm.) blades, easy to install insert in cigar lighter socket. The boat cooling fan angle can be adjusted up to 360 degrees. 12v. 4.5W, 2 speed. Suction-on type, has 5’( 152cm. ) power cord. Stainless steel boat cup holder, collapsible design that folds flat when not in use. 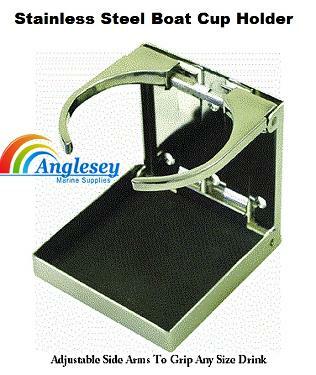 The stainless steel boat cup holder is also ideal for caravans, motor-homes etc. 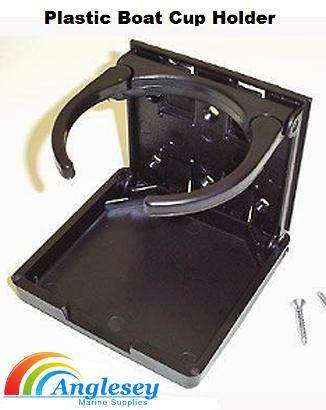 Collapsible plastic boat cup holder, plastic construction. The boat cup holder folds flat when not in use. The boat cup holder is held in place with four screws (supplied). Boat sailing sailboat marine rigging stainless steel u bolts finished in a high quality 316 marine grade stainless steel supplied with nuts, plates etc. The stainless steel u bolts come in sizes 6mm, 8mm and 10mm. 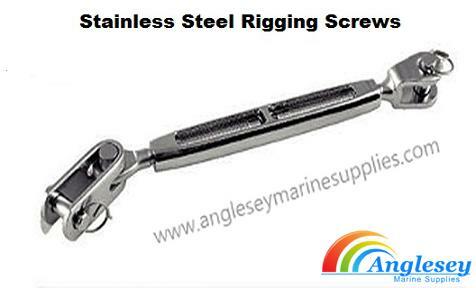 316 Stainless Steel rigging screws marine grade open body, fork to fork rigging screws. Quality marine rigging items available to you at reasonable prices. Stainless steel ring eye plate, comes in sizes 5mm, 6mm and 8mm. The stainless steel ring eye plate base plate dimensions are 5mm=35mm x 30mm, 6mm=40mm x 35mm, and 8mm plate dimension is 50mm x 40mm. Quality stainless steel ring eye plate. 316 marine grade stainless steel eye plate, comes drilled and countersunk to accept four screws (not supplied). 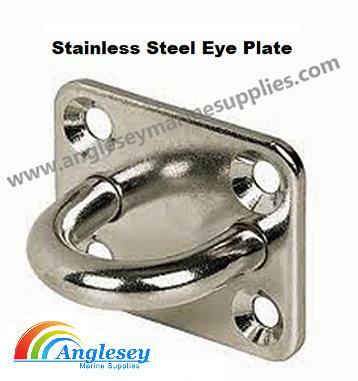 Quality stainless steel eye plate in a variety of sizes. 5mm diameter eye-base is 35mm x 30mm, 6mm diameter eye-base is 40mm x 35mm and 8mm diameter eye-base is 50mm x 40mm. 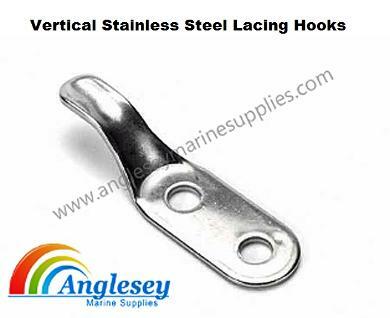 Marine grade 316 vertical stainless steel lacing hooks, sailing boat lacing eyes with two pre-drilled vertical holes. Polished stainless steel finished. 316 Horizontal Stainless steel lacing hooks marine grade construction lacing hooks, pre-drilled with two horizontal holes for fixing. High quality stainless steel lacing hooks. Victorian brass bolt flat in either sizes 6" or 4". 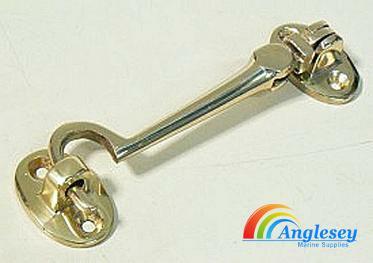 Highly polished brass bolt flat ideal for boat lockers or boat cabin doors.